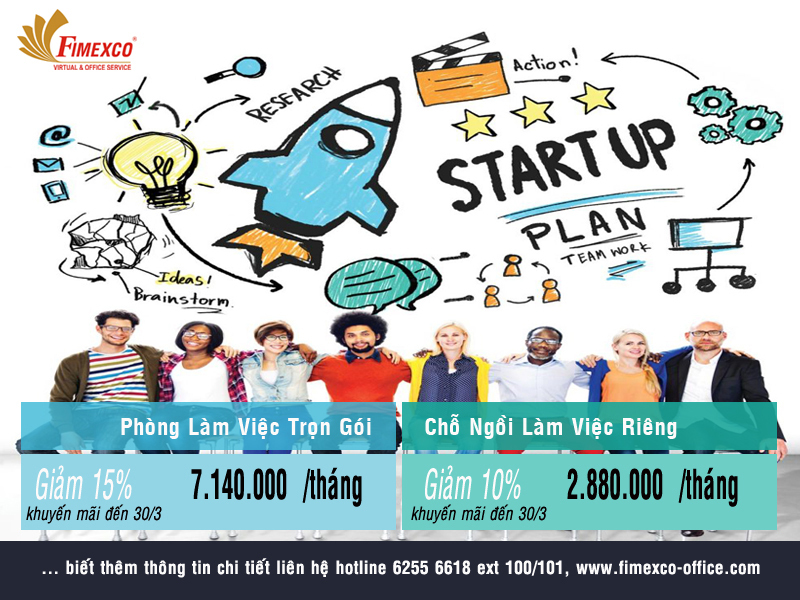 You are starting your business, you might like to know this service of Fimexco Office! 2. Customer Lounge: Large, luxurious, nice and served with free tea, coffee,… to make lasting impression on customers about the best service rank, size and professionalism. 3. Convenient Meeting Room: Well-equipped with the projector. 4. The best Equipments: air conditioner, furniture, printer, fax, scanner, photocopier,… which is called furnished office. Briefly, you do not need to invest with high costs to build a professional business image on your business partners, what you just need to do is to choose the All-in office service of Fimexco Office (with no monthly charges for electricity, water, internet, …) because everything is cost in all-in service, there are no extra or arising costs. You absolutedly focus on operating your business effectively.